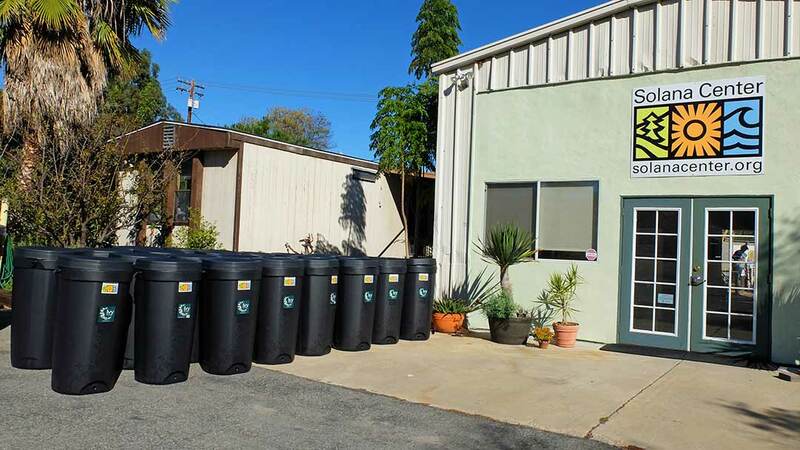 ENCINITAS — Once a month, the Solana Center for Environmental Innovation receives a shipment of about 800 black plastic rain barrels emblazoned with the organization’s logo. By the end of the month, nearly all 800 are gone. Jeffrey Goodrick, a local real estate agent, purchased two of the barrels. Whatever the case may be, Solana Center officials said that their rain barrel program, which started last fall, has been a major success. The Solana Center began selling the barrels as part of a partnership with the county in November. 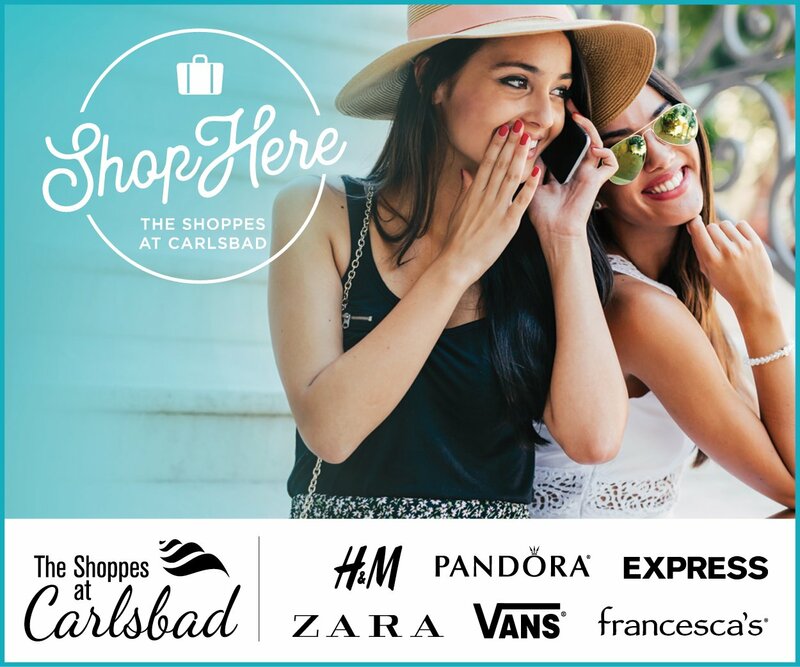 The first event was held at the county regional center, and was such a success that the county planned another event in Fallbrook the next month, which was also successful. Now, Solana Center sells the barrels, which people have to pre-order, at the group’s office in Encinitas. Rain barrels and rainwater harvesting are not new. For years, people have captured rain from gutters and used it to water plants, landscaping and other purposes. In recent years, however, the practice of harvesting rainwater has been looked at through an environmental lens, as capturing the water keeps it from hitting streets, where it picks up toxins on its way into storm drains and into the ocean, where it pollutes the waters and harms marine life. Organizations such as Surfrider Foundation has taken up the cause by urging property owners to have “ocean friendly gardens,” which include less concrete and more soil to filter rain water and encourages water retention. “People should now be making their yards so that more water stays on the property,” Martin said. “Ten years ago, keeping water off of your property was the good thing to do, but it’s really not. “Rain barrels are part of that watershed protection,” Martin said. And with Southern California in the midst of one of the strongest El Niño events on record, Martin said, homeowners have additional incentive to capture the stormwater. Also providing further incentive is a rebate program through the Metropolitan Water District of Southern California, which gives consumers a $75 rebate on rain barrel purchases, up to a maximum of four barrels. 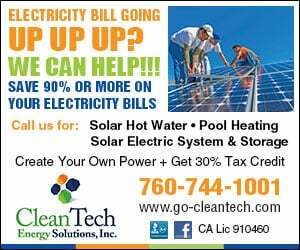 This means that the barrels, which Solana Center sales already at a discounted $90 rate, wind up costing homeowners about $15, Martin said. Homeowners realize even further savings when they see the reduction on their water bills from using rainwater instead of potable water for irrigation, Martin said. Goodrick, who picked up his rain barrels on Jan. 5, said he was drawn to the program due to both the timing and the rebate. He said the barrels were easy to install, taking all of 30 minutes. For more information about the Solana Center’s rain barrel program, visit the website at solanacenter.org.